A duel makes a great plot device for a book – but what were they really like? Duels were illegal – completely so, but that didn’t stop hot headed young men. The minimum number of people who were supposed to be at a duel for it to be regarded as correctly done was 6 – the two contenders, a man to support each of them (called a ‘Second’), a man to count the paces and call for them to fire or have at each other, depending on the weapon type, and a doctor, who was supposed to patch up any damage done (assuming that it was not fought to the death….) there might be others present, but not often, unless, as in my story, there was a group of young men who were all friends of the combatants. Generally, duels were to first blood drawn, and that was enough to satisfy honour. With a sword or rapier, that was fairly simply to do in a way that was not too damaging – a scratch was enough. But with guns, it depended on whether both men thought that the other intended their death or not. If one feared that the opponent wanted you dead, shooting him first was your only option – if you were quick and accurate enough. If you were a good shot, you could attempt to shoot him in the arm or leg such that he had a good chance of survival unless he got a bad infection. Duels happened when one man challenged another, because either his own, his family’s or a woman’s honour had been besmirched by something that the other man had done or said, which the speaker would not apologise for. If a man had sufficiently badly impugned someone’s honour, and the insulted party (or closest related or attached male to the insulted party if it was a woman insulted) did not challenge them, or at least threaten to, then that person was seen as being weak and not honourable themselves – so it was rather a trap situation for all concerned. In theory, women never witnessed duels, even if their honour was what the duel was about. In practice, it is highly likely that sometimes they did manage to get to where they could see it. Duels were usually held at dawn, or just before dawn, so that there was half light to see by, but very few people were likely to be around to interrupt or call a law enforcement person of any kind to stop it. For the ton, who often went to bed at 3 or 4 in the morning after Balls etc, and did not get up until midday, dawn was the time when a person was least likely to be seen by anyone else. If a man did kill another in a duel, it was legally murder, and the wisest thing to do was to leave the country. Whilst the aristocracy had a solid level of protection from arrest, murder was going a bit far, and the dead man’s family might well pursue the case. In cases where someone died, and it was believed (whether that was true or not – perception is everything) that the man killed had actually had the right of whatever the dispute was, the Second was often wisest to leave the country as well, at least for some years. Duels were becoming rare in the Regency as the world moved more away from swords and more towards guns (with their greater risk of death), and as the concepts of honour were shifting in some ways. Women over whom a duel was fought tended to feel both flattered and horrified. There were, however, known to have been a few women who encouraged such things, getting a twisted thrill out of it – I guess that there are people like that in any era. So – is any of that a surprise to you? Have you read any books that feature a duel, where you now think that it was presented incorrectly? Imagine living in a time when your man was expected to defend you against insults and harsh words in such a way – I think it would actually be rather tedious, myself. What were all those servants called???? because the nobility / aristocracy of the time had huge numbers of servants. 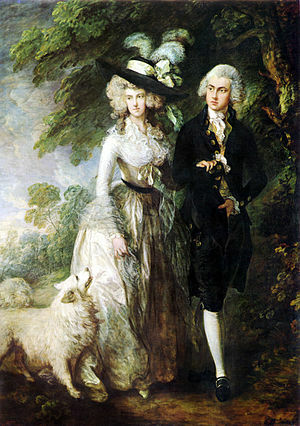 Having servants was not simply ostentation – it was actually a requirement of having a title or a lot of wealth – all of those servant roles were the main employment of the era – it was a wealthy person’s responsibility to keeping the economy of the country afloat, to employ as many people as possible. So – here is a glossary of servant roles in the Regency period. The senior servant in the house, responsible for oversight of all other male servants (except in some cases, where a Lord might have a steward who was responsible for all of their estates, in which case the Butler also answered to the Steward, as the Butler was only for a single house). Butlers also were not necessarily responsible for managing tutors, who might come in each day just to teach. Responsible for making everything run smoothly, for the security of the silverware and other valuables, and for the quality of service. The senior female servant in the House, responsible for oversight of all other female staff (except for the Companion or Governess, if there is one). Responsible for ensuring that the linens, draperies etc are maintained in good order, that the rooms are cleaned as needed, that the items needed for the kitchens (as specified by the Cook) are available, and that the female servants are cared for and protected from abuse. Responsible for the kitchen for that establishment. Manages the scullery maids and any kitchen boys. Responsible for food ordering, and for planning menus, in consultation with the mistress of the house and the housekeeper. Also manages the storage of food and avoids waste. In a big house, there may be second cooks, who answer to the senior cook. Work in the kitchen, under the Cook’s direction. Scrub benches, tables, pots and keep things clean, also may be called upon to cut up food and help with other prep work. Do the dirty work in the kitchens – keep the fires going, cart coal or wood, cart away the rubbish, take the food scraps out to the compost heap. Turn the spit if there is a spit to cook whole animals, carry water where there is no running water. Responsible for keeping the house clean and tidy. Each maid will be allocated certain rooms to keep clean – dust and mess free, with everything in its place, and making sure that there is always coal in the coal scuttle beside each fire place, ready to go. The larger the house, and the wealthier the owner, the smaller number of rooms that each maid will likely have to look after, and the more maids there will be. Generally, each lady living in the house would have a dedicated Lady’s maid, to help her dress, to do her hair, and generally to look after her in any way that was needed. Sometimes, two sisters might share a maid. The maid was expected to have sewing / clothing repair skills, cleaning skills, hairdressing skills, skill with cosmetics and more. 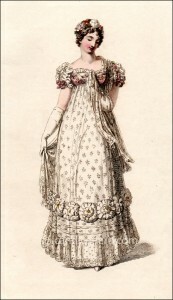 The Lady’s maid was the top of the hierarchy of maids, with greater privileges, including often receiving her mistresses cast off dresses – which, even when they were ‘too old and unfashionable’ for the Lady, could easily be reworked into higher quality dresses than the maid might ever have otherwise. Footmen were the ubiquitous method of getting anything done. They might be tasked with staying in the foyer, ready to open the door, or might each have a section of the house where they simply waited in the halls, ready to run errands or do whatever was needed. There was a hierarchy here as well – some tasks were more desirable than others. Footmen might also accompany a lady when she went shopping, ready to carry her parcels. Pretty much any time that someone pulled the bell rope to summon a servant to get something done, the one who answered was a footman, even if the task then required action by someone else. If the household had young children, there was usually a nanny. The Nanny was the senior childcare servant and might have nursery maids to help her – the more children, the more nursery maids. The nanny was also usually responsible for the children’s first, very basic, education – in manners, and in simple reading and numbers. Nursery maids did the tedious bits of childcare – from changing nappies, to being the one up at all hours of the night, to providing entertainment for teething children. They took children out for walks in the park (note, early baby carriages barely existed yet, so often they carried the children), and amused the children. They also had to deal with washing all of those nappies…. The Valet, like the Lady’s maid, was a role with status. The valet was the gentleman’s personal servant, responsible for helping him dress, caring for his clothes, shaving him, polishing his boots and more. A good valet could tie a perfect cravat in multiple styles and could dress a man’s hair in the fashion of the day. He was also likely to receive the gentleman’s cast off clothes, and was expected to be very discreet about the gentleman’s day to day affairs, which he was almost always aware of. A Governess was employed to teach younger children – usually girls, but sometimes also very young boys. A Governess was an odd position, hallway between a normal servant, and a gently born lady. Often, women of the upper classes, whose families had fallen on hard times, would take employment as a governess. It was regarded as one of the only acceptable roles for a well born lady, if she had to work. The governess taught young girls manners, ladylike skills (painting, music, singing, dancing, languages and more) and prepared them for their role in society. A Companion was employed to keep an older woman, or a single woman, company – this provided a layer of propriety, as well as giving an older widow (for example) someone to talk to, in their daily life. Companions, like governesses, were in that grey area between servant and the nobly born. They were often from good families fallen on hard times, or they were distant cousins from the poor side of the family. A Tutor was employed to teach boys, before they reached the age where they were sent off to boarding schools. The Tutor taught languages, maths, science and potentially other subjects which were regarded as suitable for boys. Like governesses, tutors might be of gentle birth, but from a poorer family, but they might also be from a commoner family, but be a man who had done well for himself and become learned. They might live with the family, or come in each day to teach, and live elsewhere. The Stable master was responsible for all staff based in the stable area. He was also responsible for ensuring that the horses, carriages and equipment were maintained in excellent condition. He was responsible for ordering feed supplies and making certain that the quality received was good. A groom looks after horses. That means ensuring that they are fed and watered correctly, that they are groomed (brushed, washed if needed etc), that they are shod (the groom takes them to the farrier, who, in a small town, may also be the blacksmith), that their feet are cleaned out and kept in good condition, that they are brought to wherever the owner needs them, that they are walked to cool down after working and more. Each groom may be responsible for one or more horses, depending on the scale of the establishment. Grooms also rode and were responsible for keeping the horses exercised if the owner did not use them often. (A horse not exercise becomes bored, and often then fractious when next ridden). When ladies went out for a ride, a groom would accompany them – for propriety, and to help them if needed. Many women could not mount up onto a sidesaddle without a mounting block or a hand up from a groom. Stablehands did the dirty work of the stables (although the worst of it was often left to the stableboys, if there were any working there.). This includes cleaning out the stalls, carting the manure away to the manure pile, laying fresh straw, hauling large amounts of hay in and out of the hayloft, lugging bags of grain about, cleaning harness, saddles etc, washing saddlecloths and horse rugs, cleaning and polishing carriages and generally helping to get everything done. They rarely, if ever, rode. Stableboys were the bottom of the pecking order in the stables. They were usually young, and hoping to move up over time (a bit like an apprenticeship). They got the worst jobs of the lots – whatever the grooms and stablehands didn’t want to do. They were the ones who got to stand out in the cold, waiting for the master to come home, so that they could be there to take his horse, they got to shovel the manure pile onto the waste cart when it came to collect it, and to be up first in the cold winter mornings, to break the ice on water troughs etc. A Tiger was a young boy, fairly small, who went with the Lord when he was using a carriage which he drove himself. The boy travelled on a small step or seat on the rear of the carriage and was therefore available when the Lord stopped somewhere to jump down and hold the horses. Tigers often learnt to drive the carriages, so that they could move them if needed while the owner was off doing whatever he had come to do. The coachman drove the carriages. This was a well respected position, requiring considerable skill, especially for the larger vehicles. If a family was wealthy, they might have many carriages, and a number of coachmen, one of whom would be the senior one and who would manage the others. The coachman was responsible for ensuring that the coaches were well maintained and that the carriage horses were well cared for by the other stable staff. If the Lord chose to breed horses, he would have a Studmaster, who was responsible for all breeding related activities on the Lord’s estates. This included choosing horses to buy, choosing which mares to breed to which stallion, overseeing the breaking to saddle of the horses, overseeing the choice of which foals to sell and which to keep and more. A farrier specialises in making horse shoes and fitting them to horses, as well as in the science of trimming and shaping the horses hoof so that the horse is comfortable, and his stride is also smoother for the rider. Farriers also often dealt with the necessary horse dentistry. In small towns, the blacksmith might also be the farrier. In a larger town they would be separate. A lord with a very large estate and lots of horses might employ his own farrier. A Lord might have an estate manager, who managed a single country estate for him. Occasionally, the estate manager might manage more than one property, but generally the steward did that, overseeing estate managers on each location. The estate manager was responsible for ensuring that the property was well run, the tenants cottages well cared for, the farms well run, and the harvests profitable. Every estate or house (even London townhouses which had smallish gardens) had at least one gardener, usually more. The gardeners not only cared for the formal gardens of ‘pretty flowers’ but they cared for the kitchen gardens, which provided much of the fresh produce used by each household, and for the herb and scent gardens, which provided the herbs for cooking, healing and providing pleasant scents (like lavender to put in a lady’s dressing room, to keep her clothes smelling good). There was a hierarchy of gardeners – a head gardener, and others that he managed. A Groundsman had a wider remit than a gardener. He might also be responsible (mainly on country estates) for the state of the gravel on the driveway, the state of fences, of gates and of other structures, as well as coordinating any forestry activity required. On large country estates, the driveway might be long – often, a small cottage was built near the gate, and a gatekeeper employed to live there, and open and close the gates as required. Jarvey was a term for a man who drove a hackney cab. It was also sometimes used to indicate any coachman who drove a hired coach. A Doorman was a servant employed at establishments such as gentleman’s clubs, to mind the door, welcome approved guests, and turn away those not welcome. An Usher was a role performed at large functions, where there were many guests (such as at a large Ball). There might be a person employed just for that, but it was more likely that a footman was appointed to the task for the event. The Usher announced the guests to the people already present, as they entered the room. Messengers were everywhere. With no telephones, and no way to communicate other then in writing, huge numbers of short letters were sent every day. Within cities, there were children who earned their living delivering messages for people of all stations. Whilst an aristocratic family might send one of their own footmen with a message, others had no choice but to use whatever messenger boy they could find, lurking about in hope of work. Because of the literally hundreds of thousands of horses in London (carriages, ridden, pulling delivery carts etc etc), the streets were perpetually littered with manure, among other rubbish. In areas where the wealthy went to shop, or go to the theatre etc, there were enterprising urchins who made brooms out of straw and sticks, and who swept the road in front of the pedestrians, in exchange for a coin. 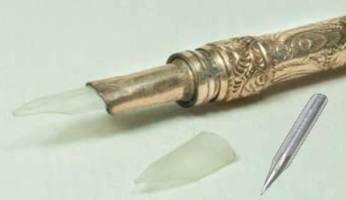 This allowed the wealthy to keep their shoes and hems clean. In winter, when there was snow, the snow rapidly became filthy, and crossing sweepers did a good trade. The Steward was a very high ranking man within the Lord’s employ. He managed all of the Lord’s estates as an entity, making sure that the Lord’s holdings were profitable overall, and that resources were used where needed, to balance out any issues that might occur in a single location. He generally worked closely with the Lord’s man of business. The Lord’s man of business was similar to your family Solicitor or Lawyer today. He kept legal records for the Lord, assisted with investment and banking, drew up contracts, dealt with any legal issues and more. He was usually very trusted and had the deepest knowledge of the actual state of the Lord’s accounts. Modistes were the highly expensive upper-class version of a seamstress – the equivalent of French haute couture brands today. Generally, they ran a business, and created gowns for multiple clients (gentleman’s outfitters were a separate thing). Occasionally, a wealthy lady might employ a modiste exclusively, but that was rare. This is not a job title from the era! It is a male attendant at a twentieth century or later wedding, but has nothing to do with Regency (or horses). This is a modern, gender neutral term that we use for people performing service roles at events etc now. It is not a term that was ever used in that way in the Regency era. Job roles then were very gendered, and this was not a term used in that way. This is not a specific job role. Servant is a generic term for anyone in service. So using it to describe a person in a Lord’s household tells you nothing about what they do – use the specific terms instead. I hope that you found that interesting (and useful). many years away, and gas lighting was only just coming into existence – very expensive and somewhat dangerous still. So – how did they light things? In an earlier post I touched on this and talked about such things as chandeliers in ballrooms, and lighting in large wealthy homes. Today, I want to look in more detail at the simple aspects of lighting in daily life, in the homes of the common people as well as the wealthy. Lets start with an obvious fact that we, today, forget – all lighting, back then, involved flame. Whether it was a candle, or an oil lamp, or just the light from the fire in the hearth, flame was involved. In a sense, lighting your home was dangerous! Once it got dark for the evening, unless you were wealthy enough to afford very expensive pure beeswax candles, in large quantities, you really could not see well enough to read much, or to do detailed work (like embroidery etc). So the options to keep yourself busy were limited! Scholars, who read a lot by candlelight, seamstresses, who sewed long into the night by candlelight, and people in similar situations, all tended to go blind early in life, from the eyestrain. Most houses were not at all well lit, simply to reduce the cost of all those candles. Massive numbers of candles in a house, and in chandeliers for a Ball, was pretty much a conspicuous declaration of how wealthy you were. Similarly, the fact that the ton could afford to sleep until midday, and stay out until 2 or 3 am, was also only possible due to the wealth that was expended on lighting the homes and clubs they frequented. There were some clever things done to get more light out of each candle. Early chandeliers applied the same principle that makes mirror balls fun – lots of bits of crystal, and in some cases mirrors, made up the chandeliers, so the light as multiplied by all of the reflective surfaces. Similarly, even though mirrors were expensive, the ballrooms and reception rooms of houses of the wealthy might have a wall lined with mirrors, specifically to multiply the light at night. The same principle applies to many closed lantern types – either oil lanterns or candle lanterns, where the inside of the metal lantern body had mirrors on it. When the front shutter was opened, the light that came out was multiplied by all of the internal reflections in the lantern. But, the end result of all this was still that, if you wanted to get up in the middle of the night, you had to light a candle somehow, and anywhere you went in the house at night, you had to carry a candle with you, or feel your way about in the dark. Next time you read a book where everyone is wandering about stately homes at night, or reading, or writing etc, after dark, spare a thought for how it really was, with all of those candles, and dark flickering shadows in the corners! And why is what’s on book covers so diverse? 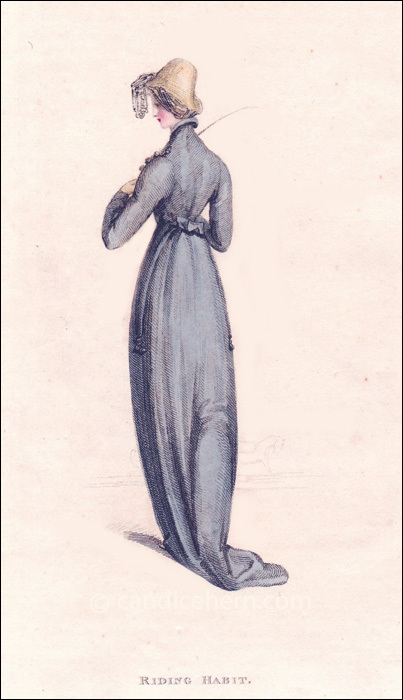 The Regency era is a bit of a ‘blip’ in women’s clothing history. In the late 1700s, women’s outfits were generally lower waisted, with voluminous skirts and fitted bodices, over a fairly firm corsetting. 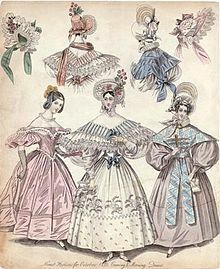 After about 1825, women’s clothing went back in that direction – lower waists, big skirts, strong corsets and fitted, higher necked bodices, culminating in the extreme shapes of the Victorian fashions of the late 1800s. 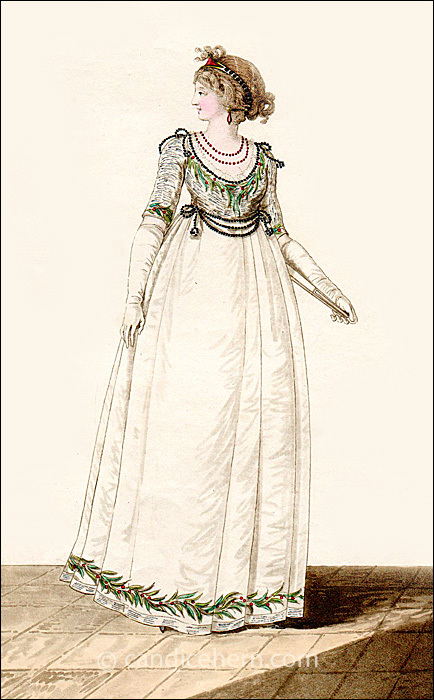 In between, the Regency fashion was very different – high waists (empire line), softer corsetting (stays), loose, flowing skirts that mostly fell close around the body, light fabrics, low necklines – a far more comfortable set of styles that those of either side of that era. 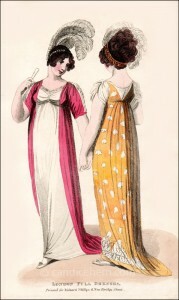 It was described, by some fashion historians, as, compared to the fashions either side of it, ‘the era of nakedness’, because they regarded the regency fashions as so revealing compared to the early Georgian or Victorian fashions. So – why do so many book covers show what are really Georgian or Victorian dresses? Cover designer’s convenience – its far easier to make a book title stand out in a way that is easily readable, if its against a consistent colour area – usually the wide spread skirts of the dress! Ignorance – often the cover designer has no idea about fashions in the era, and isn’t paid enough to want to take the time to do the research. Artistic licence – even if its not quite right, it looks pretty…. Reality – there wasn’t some day in 1800 or so when everyone suddenly changed what they wore, nor in 1825 or so. Fashion changes gradually, as the daring introduce new things, and others copy them. And when fashion changes, not everyone follows it – the older ladies, who had spent most of their life already wearing the bigger skirted and lower waisted styles often stuck to those, in defiance of fashion. Most of the prints from the era that we see are evening wear – but day wear had much more variation – warmer styles with higher necklines for winter, fitted bodices almost like a military jacket for riding habits, etc. And, of course, as is true today, to some extent, your wealth made a difference – the very wealthy could afford many changes of clothes, and to buy new things when the fashion changed – but the poorer you were, the less you could afford – so you likely had to wear clothes a few years out of date – and therefore out of fashion. So, to some extent, covers reflect the diversity found in reality. For book covers, unless the image shows something centuries inaccurate, just forgive the variance, and appreciate the art!